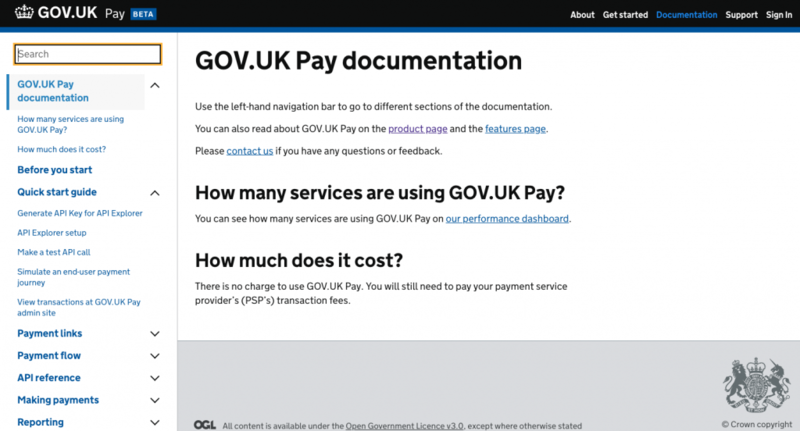 Technical writers at the Government Digital Service (GDS) create documentation for our platforms and services using the ‘docs as code’ approach. 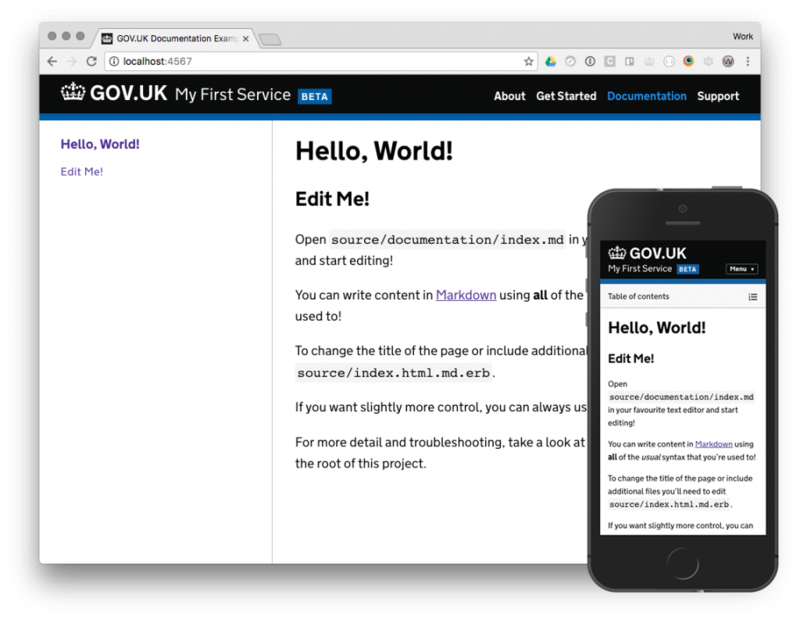 Before we started using docs as code, GDS teams used a variety of templates like MkDocs to publish technical documentation. But our user research showed our inconsistent documentation designs were putting off users because information was difficult to find. To fix this problem, the Service Manual team launched the technical documentation tool in March 2017. The design for this tool was based on user research with developers and technical writers. The tool had a single page template, designed to keep API reference information in one place and used the static site generator Middleman. The first version of the desktop tool had a 2 panel layout with the navigation on the left hand side and content on the right. The mobile version displayed one page at a time and used a table of contents to navigate between content. We ran a 3 month project with an external development team to address these issues. This helped us learn some important lessons for commissioning future updates like factoring in more time to test changes. For example, we only had one week to test the API reference when ideally we would have liked one month. 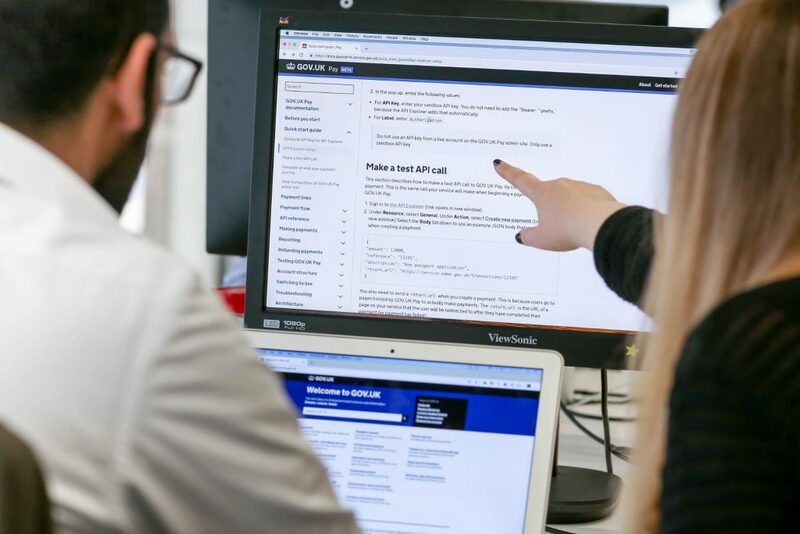 What’s new in the technical documentation tool?